Home › Resources › Articles › Why do the Five Solas Matter Today? Why do the Five Solas Matter Today? Next year, 2017, will be the celebration of the 500th anniversary of the beginning of the Reformation. At the end of October, 1517, Martin Luther nailed his 95 Theses to the door of Castle Church in Wittenburg. We expect lots of murmurings and questionings next year, that that whole event was a ‘fiction,’ and that Luther did not say at the Diet of Worms, “Here I stand; I can do no other.” Luther’s reputation will be blackened with a few condescending remarks about the contribution his translation of the Bible into German made in the preservation of the German language. The structure of this workbook is as follows. It presents two pages of explanation of each of the five solas followed by two pages containing three questions with blank lines for the student to write out his answers. The book concludes with a bibliography of seven recommended books, five of which are published by the Banner of Truth, Buchanan’s Justification1, A.A.Hodge’s Confession of Faith2, Terry Johnson’s Case for Traditional Protestantism3. 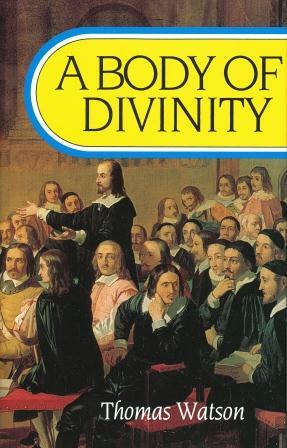 John Murray’s Collected Writings, Volume 14 and Thomas Watson’s Body of Divinity5. The other books commended are Martin Luther’s Selected Writings (the four volumes Fortess Press edition), and Martin Marty’s life of Luther published by Penguin. The list concludes with the Westminster Confession of Faith. This admirable booklet would do well in a group of teenagers from Christian homes, students at a Christian Union, a women’s study group, or an office mid day study group. This is a modest, sound and useful contribution to our understanding of the Reformation. It will do well in the next year. Geoff Thomas is the Former Pastor of Alfred Place Baptist Church, Aberystwyth, Wales. He will be speaking on the topics of The True State of Man, The Super Supremacy of Scripture and The Mere Believer’s Certainty Facing Eternity at this year’s US Ministers’ Conference (May 30 – June 01).